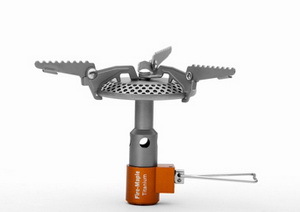 The lightest camping stove in the world at only 48g with both burner top and gas tube made of titanium. 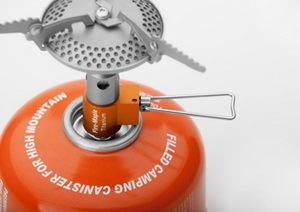 Perfect combination of straight flame and big burner top, providing higher efficiency of fuel burning. 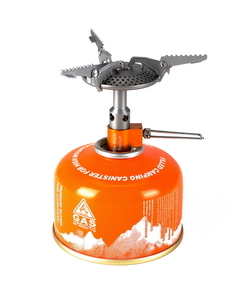 This ultra-light stove is ideal for extreme exploration. With tooth design in its support legs, cookware is more stable when cooking. Packaging is in a PC box which protects the stove perfectly when on field trips.